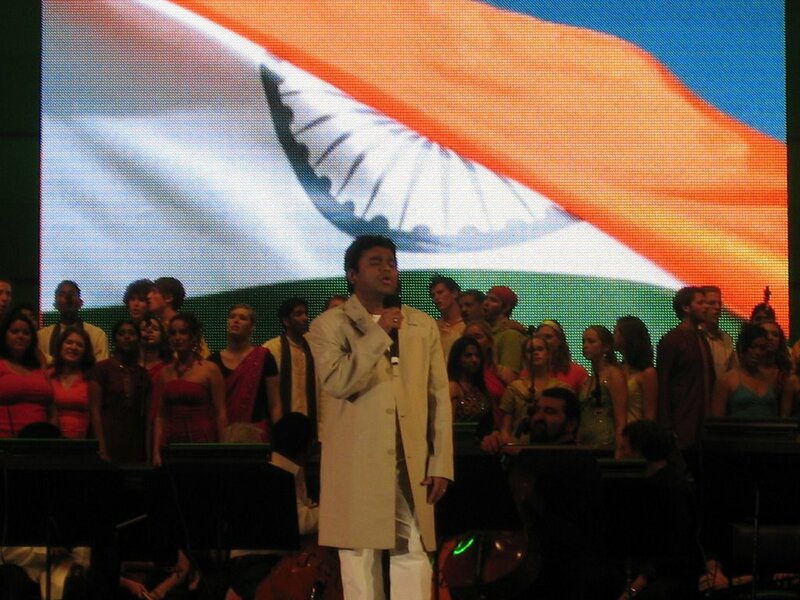 I am a guy from a country where film music is the most popular form of music; AR Rahman is truly the emperor. Only thing was missing is my fiancée, or else it would have been my best day for my rest of life. I can't ask more for a perfect evening with my friends at Hollywood bowl, I had lot of fun, and you can ask my friends. Thanks to Saritha for taking initiative a month back. We 8, all were prepared and waiting to get drenched in the music shower, I was drenched eventually for a different reason. We were all excited and started our trip, in the morning in two cars. Wonder why we started in the morning for the late evening show? First reason: LUNCH! Yes, from Sandiego to LA we pass Orange County, where you can find best Indian food in California. Second reason: LA Traffic, people been there knows what I am talking about. We reached Orange County around 2pm and waited around 30 min to get in to the restaurant and had great food. I liked a lot, it's a Pakistani restaurant, it's a banquet for any non-vegetarians. 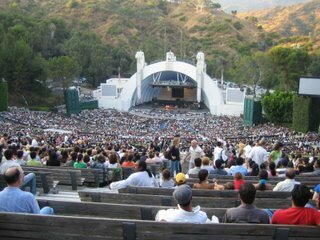 After that we strolled to our car and dropped all out beach plans, and started driving towards to Hollywood Bowl, LA downtown, where the king is ready to let his fingers unfastened. One car reached pretty early and had a pit stop in the Starbucks, and the other car was still looping in 101  Then we arrived at our seat 2 hrs before the concert thinking we are too early for the show, because its an Indian show …common its IST then. But we saw the auditorium is half full already with in another hour it was full. The Hollywood Bowl is a modern amphitheatre at 2301 North Highland Avenue in Hollywood, California, USA, that is used primarily for music performances. It officially opened in 1922 on the site of a natural amphitheatre with the capacity of 26,410 and keep in mind this show is SOLD OUT. It was located in beautiful location between mountains, rather inside mountains. The show started with Musafir. Musafir is composed of groups of musicians who in Rajasthan would not play together, but here they create an exciting fusion. They can hardly speak in English but man they can make the crowd animated. I am seeing them first time live, it was a good start for the big show. Then came the Genius himself, Goosebumps all over! He came like an obedient kid first time on the stage with full of fear. He was struggling to face the audience over 26K, he was facing down and in no time he sat on his assigned chair in front of the piano. Slowly he started to free his fingers and let it run on the keys on the keyboard, slow murmuring and whispering all we could hear and he started unleashing his fingers and shouted…. Dil Se Re!!!!!!!!!!!!!!!!!!!!!!! Speakers blared N Crowd roared. His fingers were like Ferrari wheels and crowd on there heels! He concluded his song and gave a naive smile to the audience. The audience was up to him, always cheering and dancing to his rhythms. If you wonder from where he attracted so many desis, I would say there were close to 50% of Non-Indian crowd there. 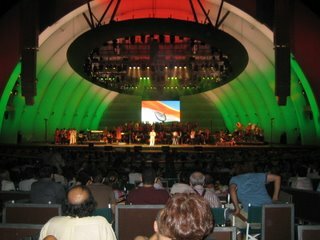 The show titled 'Bollywood Night with AR Rahman' had doses of Bollywood movie clips, with guest artistes and of course dances. Then slowly marched in the artists one by one, most of them introduced by AR Rahman to this music field. Then there the came the number which rocked the evening, 'Chaiyya Chaiyya' performed by Sukhwinder Singh. He rose to fame with a blazing rendition of an all-time favorite. I saw very people sitting on their seats; trust me, its not easy to resist this temptation. I wish each of us had more space to dance, but its ok. We ended dancing in the leg room we had, which ended up in swollen legs. Now you know I got drenched in the end, non-stop dancing. Sukhwinder not only have lot of energy, he also knows to extract out of you. He was in black leather jacket with shaded hair, totally funky. At the end of the concert, a White lady walked down to me and asked "Who is that guys in the black jacket?, I told her the name, she started writing..S..u..K..W?..no no..H..I wrote it down for her. Then came the melody number, guess who. Hariharan, the Padhmashree. He is ascribed with the most soulfully sung title song from the film Roja, "Roja, janeman" Man it not only helped us to catch our breath back but also to charge our self. 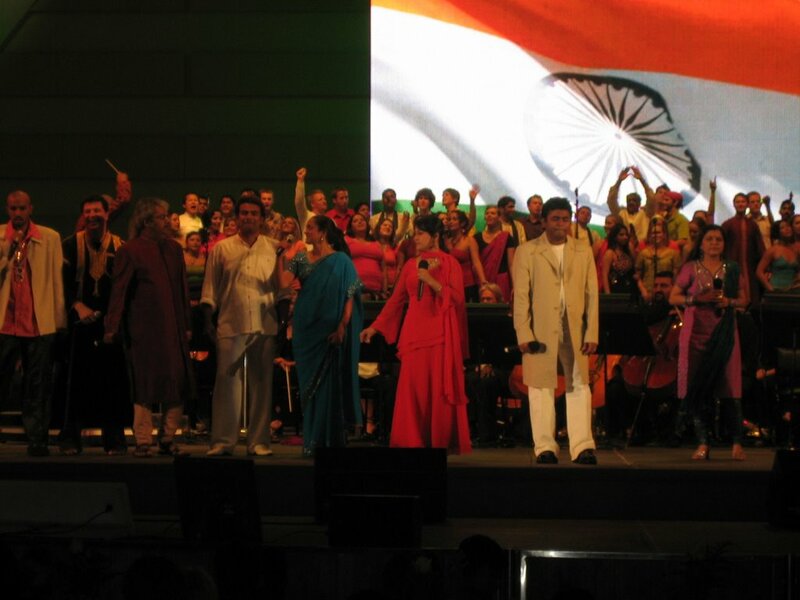 Thanks to Sadhana Sargam, who sang few numbers in tamil, now I heard few Tamil friends showed appreciation, including me  also Madhushree, both were brilliant. AR Rahena, Rahmans sister sang a number first time live with her small bro. Sadhana Sargam, stood up to her fame and gave same standards while Madhushree took up the challenge and did lot of improvisation and kept the crown alive. I also can see AR Rahena did cover the absence of Malgudi subha. Then came my favorite, Anisha Nagarajan, the Bombay dreams girl. She is as striking as her voice; her blue saree suited the occasion very well! (Ahhemmm, Sorry Sandhya) She originated the lead role of Priya in the Broadway production of AR Rahman's Bombay Dreams in Broadway Theatre. She is very good Opera singer too, her high pitch ricocheted all over the auditorium, she was flawless, if she can do it in Broadway this stage is cinch for her. For all the dance numbers, the crowd was as superior as the Bollywood Step Dance group, the group provides professional dance training and troupe performances for stage shows. 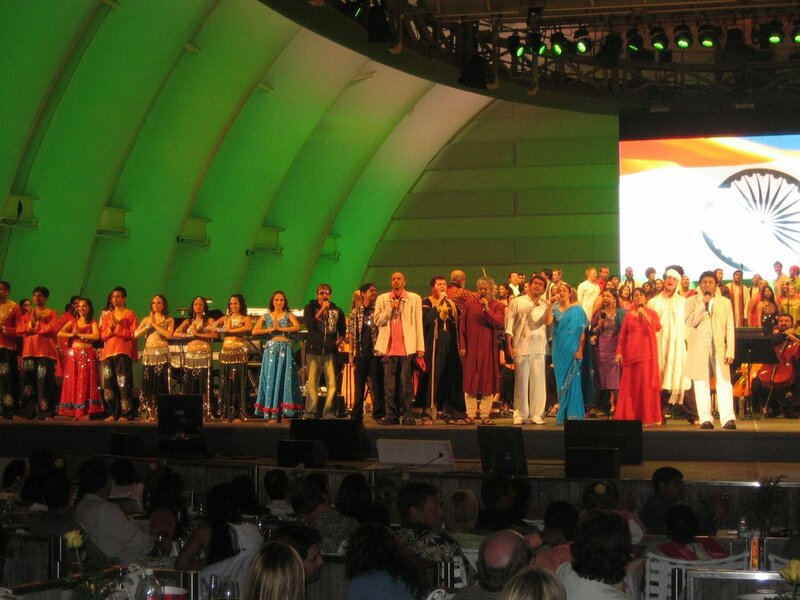 Other groups were Raagapella- Stanford University's all-male singer group, Sher Foundation- spans a decade of Southern California's most talented Bhangra dancers, and Global Rhythms- A group conceived in 1996 by Miami University alumnus Srinivas Krishnan. Allegedly, people from Warner Bros., Fox, and Universal Studios were also present at the concert and were highly impressed. It is even said that they are thinking of adding a Bollywood touch to Oscars next year. Won't that be great? It was a vast event, but if the trends are any indicator, Rahman has greater events slotted into the future. Now I know what you feel, ok I found some video clips for you here! WorldSpace, India's only digital satellite radio service has roped in A R Rahman as their brand ambassador. Rahman will now produce a WorldSpace promotional song and also endorse its products. Says Shishir Lall, Managing Director of WorldSpace India that they are delighted to team up with a musical genius like Rahman who is world renowned for his works. On the other hand, Rahman is also very pleased to be associated with a service like WorldSpace which believes in providing extensive music of various genres to its audiences. Deepu - Articulated your night out with AR perfectly! Me going green here. And hey "only thing missing was my fiancee"....hmpf. In-laws and nephew conveniently forgotten. huh. Dei, yennada nadakkudhu? Konja naal area pakkam varalanna...Seri, will talk in detail about that. Man, I didnt know about this show at all. Would surely have joined you guys. Big time miss! Thanks to your detailed description, felt being right there. I like your blogs, I will add your link you to my blog. @pradeep: Ofcourse, you dont have any rights to complaint! Naye, how many times I should call you, and buzz u in gtalk. Call me when u get time, lot fo things to be updated! @Jayashree: Yes, even I cudnt beleive I wrote so much. Thanks to madhu! :) Next time I will take you along! @anonymous #2: Doesnt seems to be anonymous, anyways. Ofcourse, I am big fan of Anisha :) It was lot of fun! I like it! Good job. Go on.